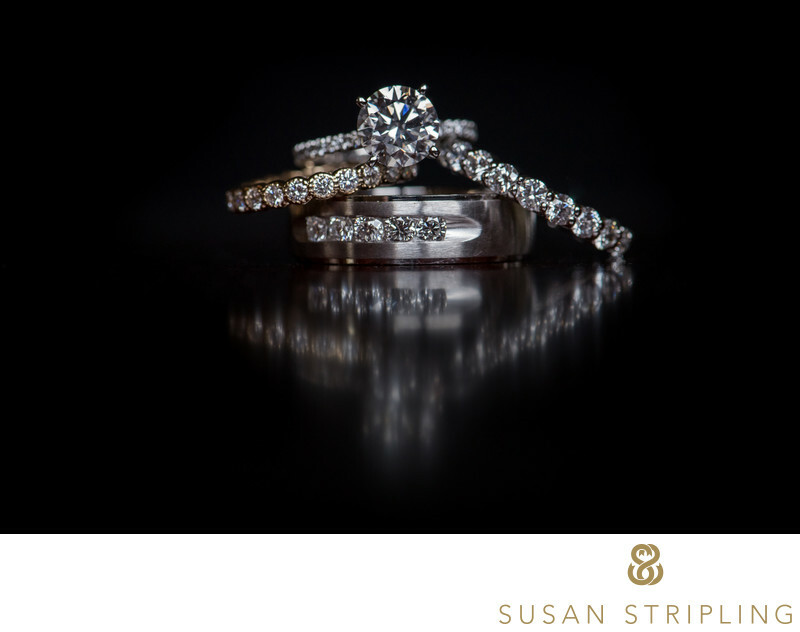 I have always loved photographing the small intimate details and my favorite of all of those details are the wedding couple's engagement rings and/or wedding bands. 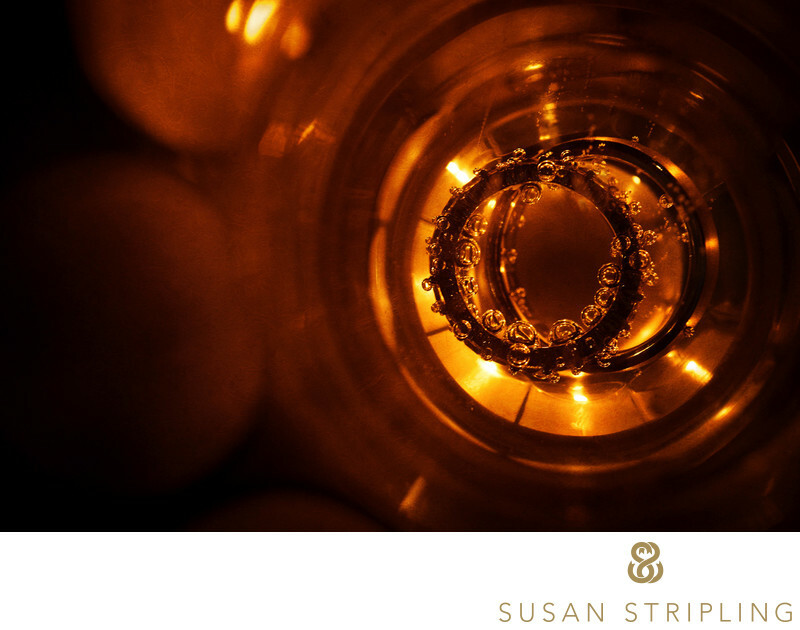 This image of a couple's wedding bands was styled in a glass of champagne, per the bride's mom's request. I wanted to make a unique image that showed off the rings and the bubbles in a different way.This image contains everything that I love best about a powerful detail shot : a compelling background, a sense of the mood of the wedding day, and a crisply focused, perfectly exposed engagement ring. The glittery background and foreground of the image are the sparkly soles of the bride’s Rene Caovilla wedding shoes and the light source is simply a window off to the right. While I prefer to work with natural light when photographing rings if the quality of natural light is not sufficient then I will use a video light to further illuminate my subject. 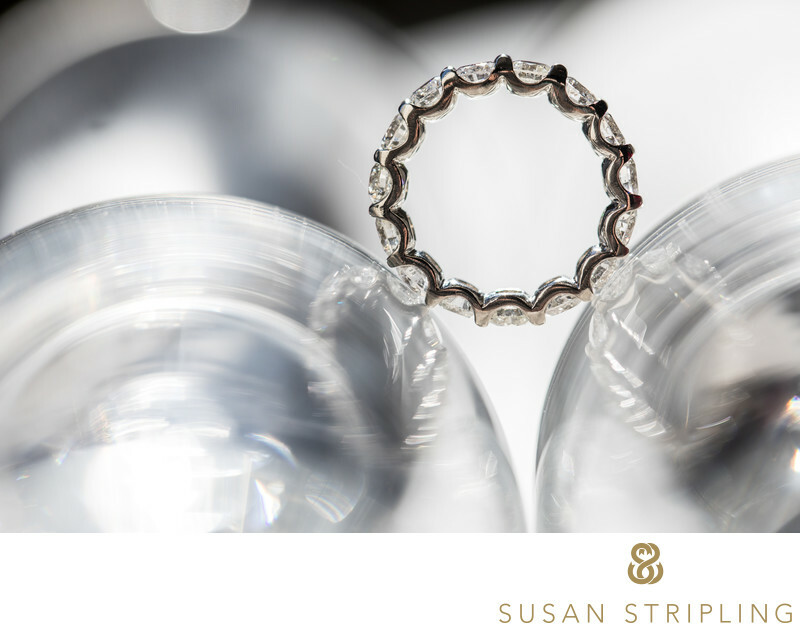 I love creating new and different photographs of my clients wedding rings and I am always conscious to choose a backdrop for these types of images that suits the tone of the day. At this particular wedding the bride had asked me to photograph the sparkly soles of her shoes before they became scuffed from wear. 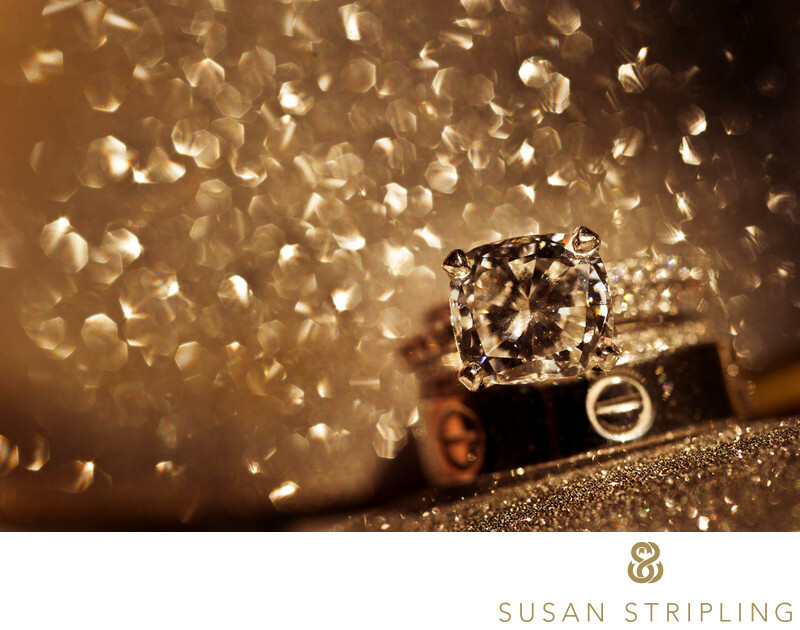 I chose to incorporate that glittery surface into the photo of the bride engagement ring and her husband's wedding band. As a client, what does it matter how I set up a ring picture? What do these stories have anything to do with why you should retain my services for your wedding photography? What does the ability to put pretty rings in pretty light and talk about that setup have to do with the entirety of your wedding day and your photorgaphy coverage? How was this set up? What are the round shapes? What is the sparkle from? 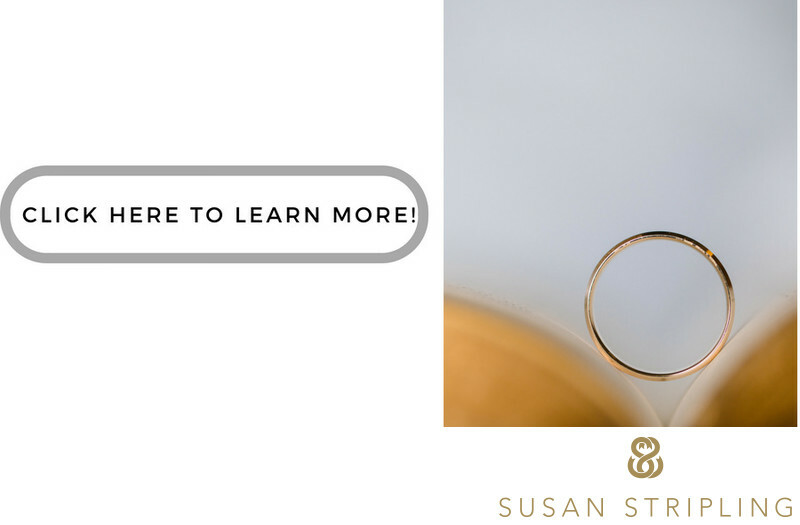 Can you guess?As a client, I would love for you to see the care and thought that goes into every aspect of the coverage of your wedding day. I want you to know that I will look at every part of your day as seriously and with as much care as I do the bottom soles of shoes and a set of rings. I will strive always to create meaningful images for you, incorporating personal details into your images, and endeavoring to tell your true story with an artistic eye. Keywords: colts neck (9). 1/640; f/10.0; ISO 200; 60.0 mm.